US 50 to R on SR 350, L on Main St (next to gas station), L on Chesterville Rd to L on Castletine. Property at the end of road. Original owners! 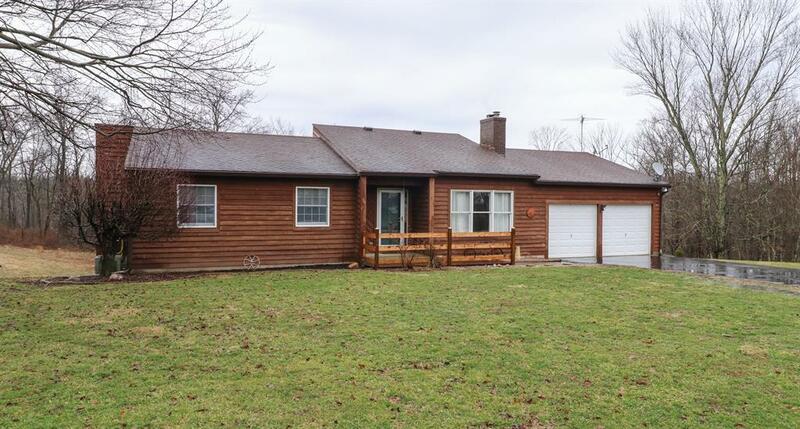 Well maintained ranch on 29.8 ac w/woods, fenced pasture, pond & small creek! Home includes hardwood floors, ceramic tile, vaulted ceil, brick fp, 1st flr laundry, full walkout bsmt, 2 decks & patio. 30x60 barn w/electric & a 24x36 pole barn w/covered porch, concrete flrs, & electric! Located at end of no outlet road.